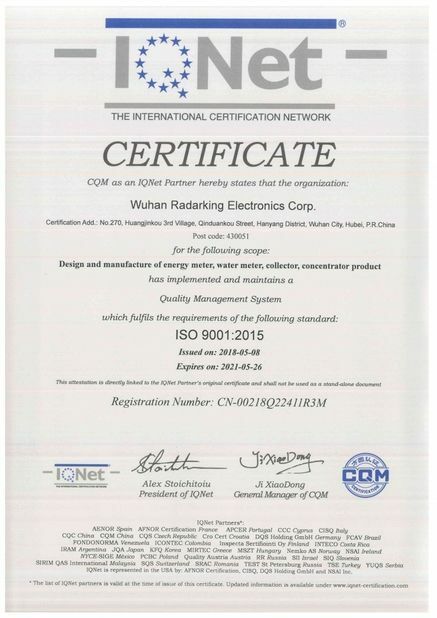 RADARKING AMI solution is made up of a set of smart meters, communication modules, Local Area Network (LAN), Data Concentrator (DC), Wide Area Network (WAN), Meter Data Collection System and Meter Data Management System. 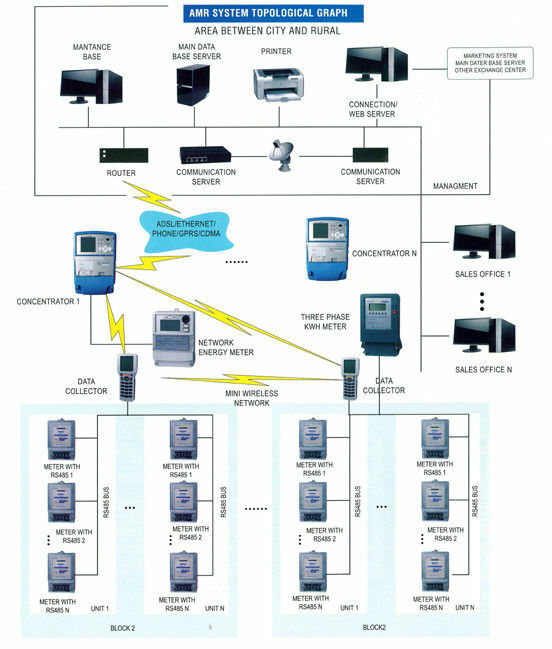 Smart meters are able to measure parameters such as total harmonic distortion, power quality parameter, power factor in addition to conventional parameters such as voltage and current. In case of any manipulation or tamper of Smart Meters they are able to report it. They also prepare useful data for energy management on Customer Interface Units (CIU). They can show the real consumption cost, register the data associated to consumption, connect consumers, or disconnect them from the power grid. 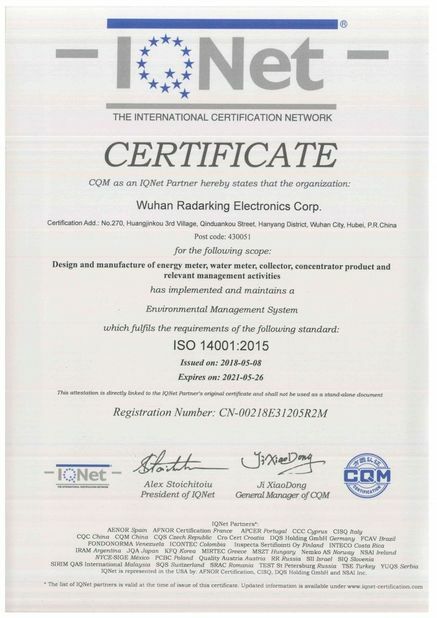 RADARKING communication technologies can transmit control signals and commands issued from the central system to smart meters, and sending back the registered data from the meters to master station and control center. The AMI solution integrates multiple Meter Data Collection Systems, billing data, distribution management data, and makes sophisticated process o meter data. Inhemeter AMI solution delivers what the utilities need today and tomorrow. SMARTview as master mind of smart metering system accomplish all Metering related business process this system can realize centralized and remote meter reading, remote control, remote auto-recharge, remote download rates set/load control threshold, remote authorized changing meter operating parameters, managing the meter`s inventory, installation and whole life cycle, managing meter user information file, analyzing power supply circuit (area), analyzing power distribution network quality data, initiatively reporting the grid line loss and abnormal events, connecting with the national payment system and the power company management system, providing power company managements with the statements and data.